FLY, CLIMB, STRETCH, SPIN, LAUGH, LEARN & GROW! 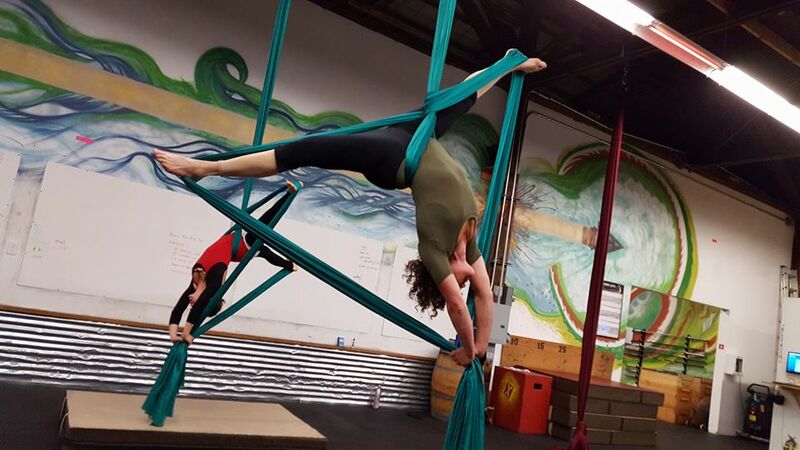 Here at Wine Country Aerials you will find a unique, fun opportunity for people of all fitness levels and body types to build strength, gain flexibility and improve coordination while learning the beautiful art of Aerial Silks, with classes for kids and adults ages 8 and up. 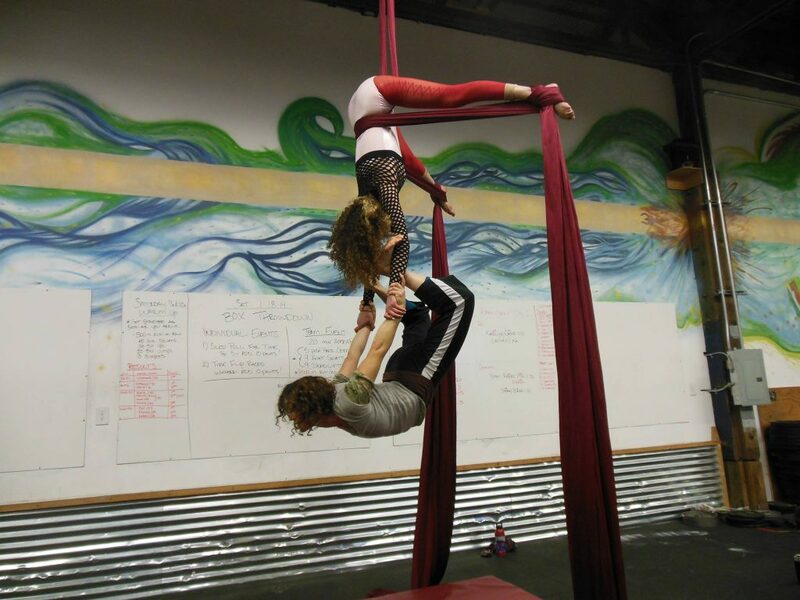 Since 2013 we have been Elevating Bodies and Minds through creative and inspiring classes, workshops, parties and performances centered around the Aerial Arts. Our unique and professional teaching style enables students to utilize their strengths and develop their weaknesses for optimum training. We keep our classes small to ensure a safe experience, plenty of personal attention and that warm, cozy, supportive feel of community. New Students: Please fill out the form below for more information. Returning Students: Please use this link to purchase more classes and sign up in advance. Our beginner students start by learning skills close to the ground; building a strong foundation of the basics such as climbing and inverting. As students advance, they can begin to practice skills higher in the air and will learn more complicated moves such as drops and flips. Eventually, we start putting together the moves we learn into simple sequences and finally into fully choreographed routines set to a variety of musical styles. New to Wine Country Aerials? Please complete the form to the right. Sign-up links will be sent so you can secure your space in our Free Intro Class that is held on Tuesdays at 8PM. Please sign up in advance. Already an Aerialist? Please use this link to purchase more classes and sign up in advance. If any, please tell us about any of your aerial experience and training.